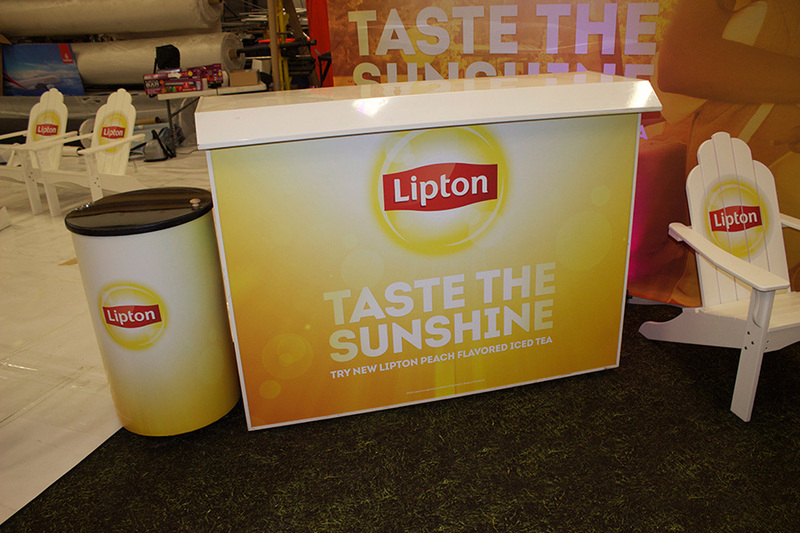 Lipton Iced Tea wanted to shine above the rest when they presented their Taste the Sunshine campaign during recent sales conferences. Amplitude Marketing called us to assist. We created an impressive 10 ft. by 20 ft. 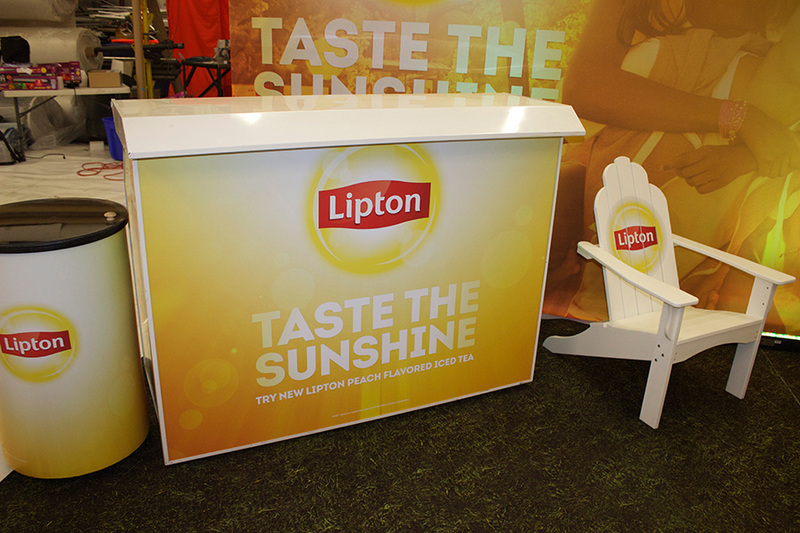 Taste the Sunshine Lipton branded area. Two vibrant fabric walls set the stage. To make the walls, we produced two easy to assemble aluminum pop pin frames. Then we created the two hanging fabrics using dye-sublimation printing, featuring the beverage in the splashiest of colors. Next, we produced the custom flooring. 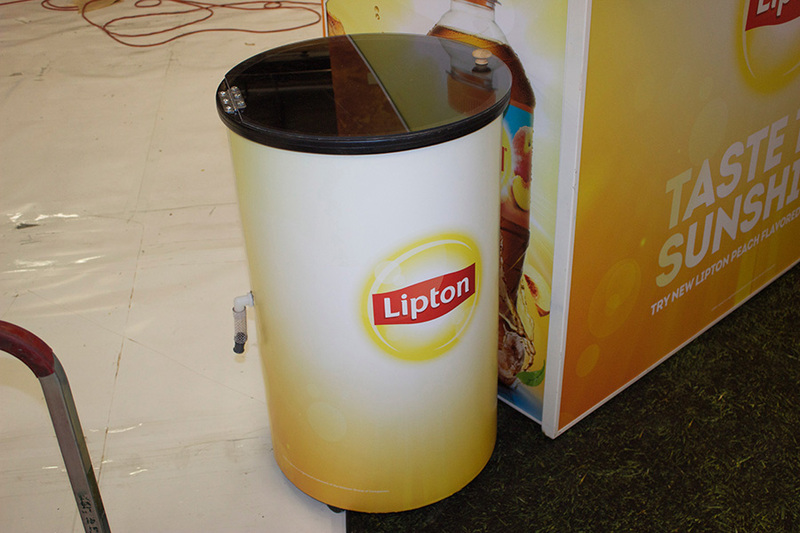 We have the advanced technology to print on the wildest of surfaces, and for the Lipton display, we created two printed carpets that looked like real grass. 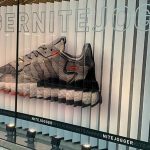 On the grass carpet stood large triangle displays proudly portraying the product, which we constructed using steel and fabric. 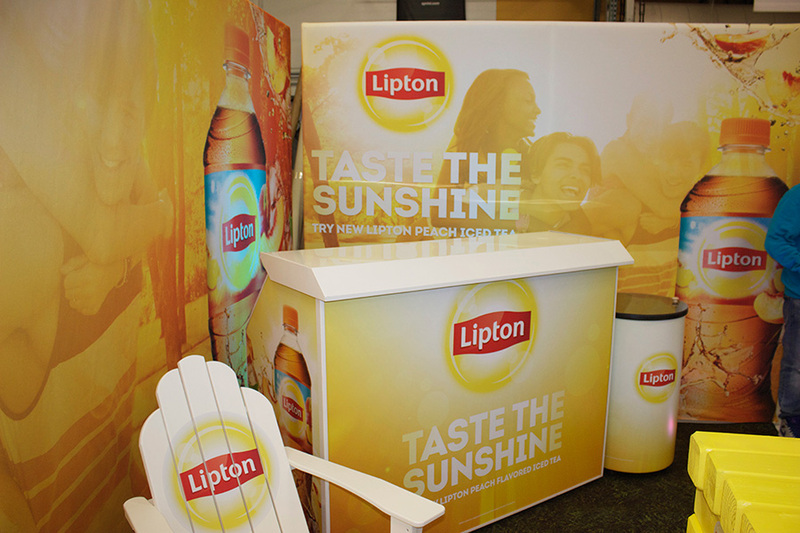 To really serve up interest, we created sampling tables for the drinks, as well as logoed coolers and lounge chairs. 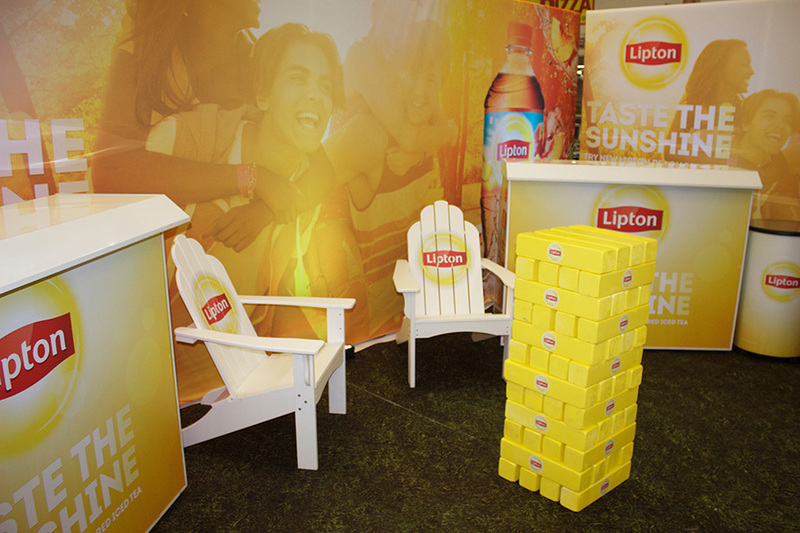 We even helped build the brand by reproducing a Lipton version of a Jenga game, made from sign foam, paint and vinyl adhesive logos. As a final touch, to let the sun shine in, we provided LED lights to brighten up the display triangles and the larger fabric walls. 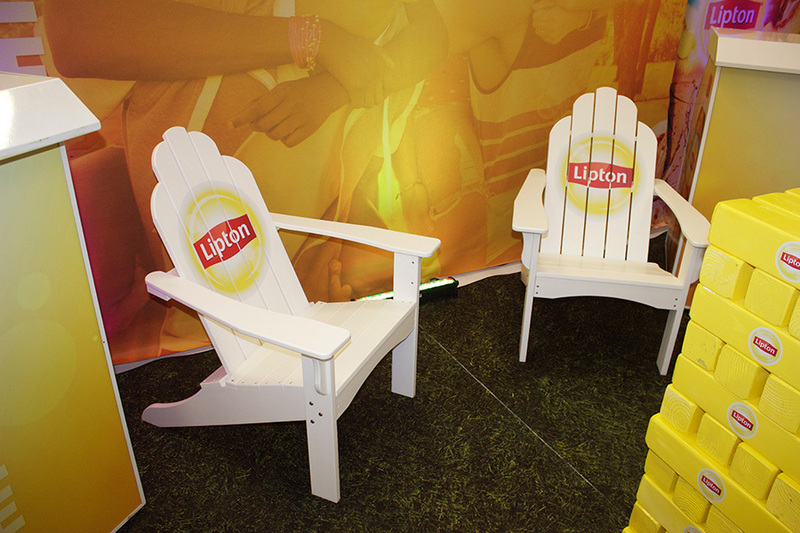 The entire set up was portable, and traveled easily to six sales conferences. We produced everything in just two weeks, and the show was a refreshing success. 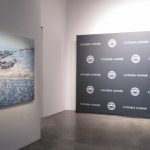 Fabric Walls: Two Fabric Walls were created, one 20 ft. by 10 ft. and the other 10 ft. by 10 ft. We produced the pop-pin aluminum frames as well as the printed fabric. Custom Flooring: Two 10 ft. by 10 ft carpets were produced and printed that looked just like grass. 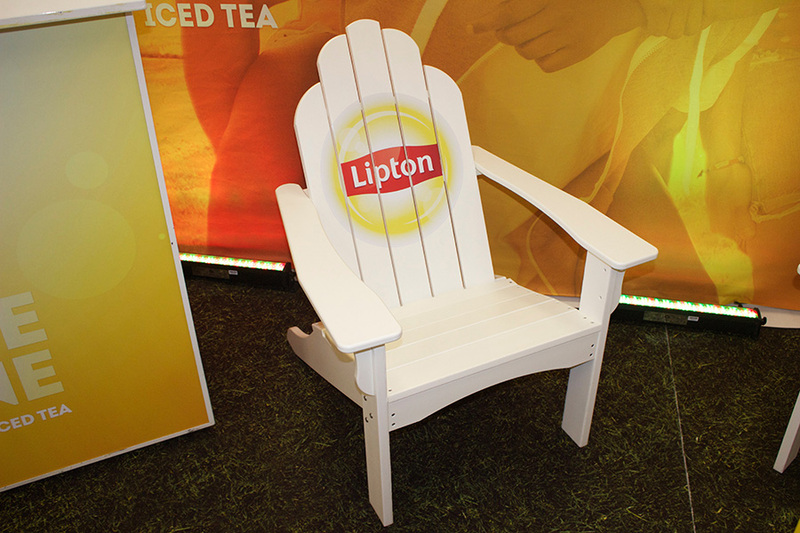 Tables, Chairs and Cooler: We branded the sampling tables, lawn chairs and coolers. 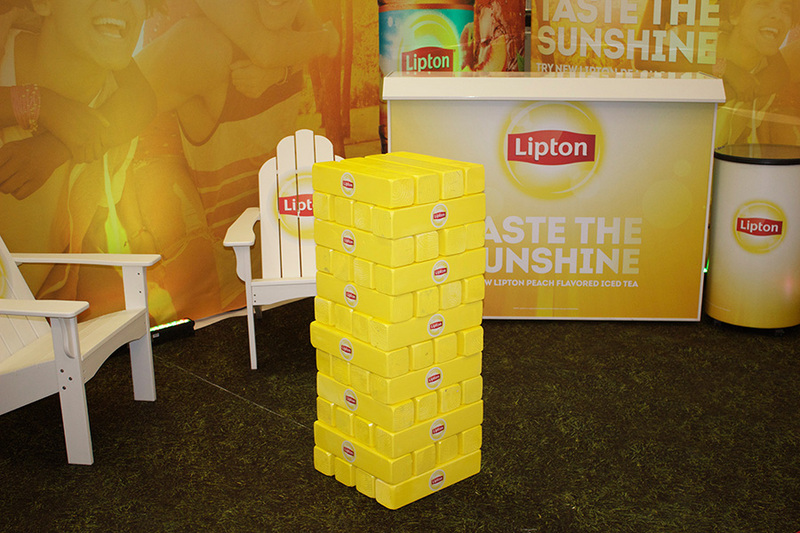 Jenga Blocks: We created Lipton branded Jenga blocks out of sign foam, paint and vinyl adhesive logos. 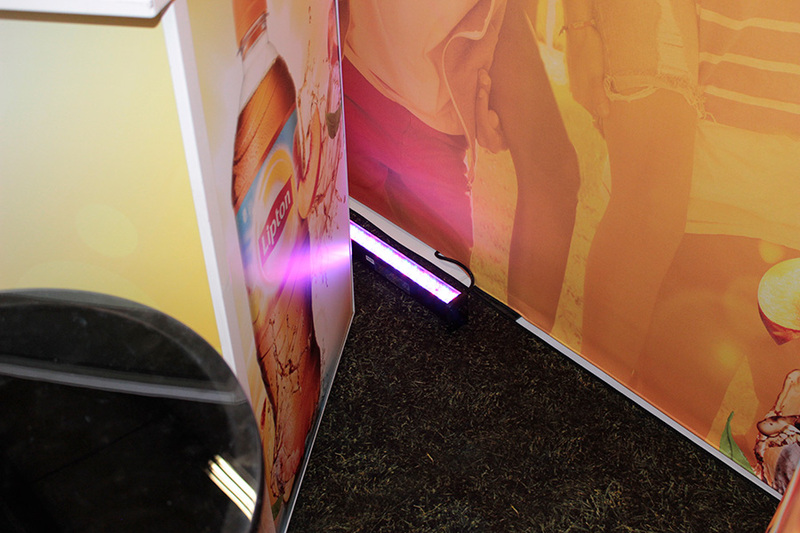 LED Lighting: We provided portable LED lights for the display triangles and for the perimeter of the fabric walls. Portability: The displays were portable and easily set up. 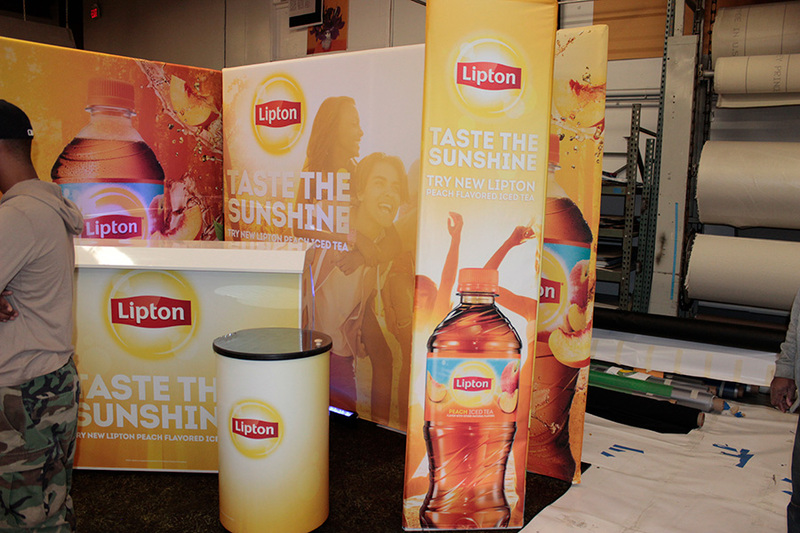 Production: The entire display was produced in just two business weeks.